The lone Super Power, the United States of America, has exhibited its serious concern over the program of protests very freshly made public by the Unified Maoist party. US Charge d’ Affaires Mr. Jeffrey Moon called on Maoist Chairperson Mr. Pushpa Kamal Dahal alias Prachanda at the latter’s residence in Nayabazar, Kathmandu, today, 28 October, 2009. During the meet, Mr. Moon expressed his country’s anxiety and concern over the likelihood of the confrontation with the State in course of the Maoist protests that begins November 1, 2009. However, Prachanda’s personal secretariat has said that senior Maoist leader assured the US envoy that his party was still committed to the conclusion of the peace process and for the draft of the new constitution on time. Sources further say that Prachanda and Moon have had serious discussions over the prolonged political crisis prevailing in the country. Earlier, Mr. Moon had called on Nepalese Congress (NC) leader Mr. Ramchandra Poudel, 27 October, 2009, wherein they both apparently discussed the ongoing political deadlock in the country and also on the internal turmoil that NC is undergoing through of late. Mr. Moon is leaving soon upon completion of his Nepal tenure. The danger of a military coup by the caste-ridden monarchist Nepal Army is very real. And the danger of counterrevolutionary U.S. intrigues in Nepal is also very real. Nepal Army Chief Chhatraman Gurung leaves Kathmandu on Saturday for the United States of America on a week-long tour. He has already made public that his visit is for attending a military conference in Honolulu. Nepal government, at Gurung’s recommendation, has handed over the Army Chief’s acting responsibility to Toran Jung Singh until the Army Chief returns home. Singh is in the list of Rayamajhi probe commission report in which he is charged with playing a leading role in the mass disappearance of dozens of Maoist detainees from the Bhairabnath Barrack—often cited by human rights institutions, local and international. 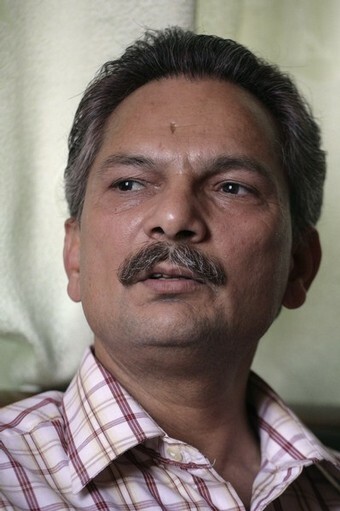 Maoist Chairman and former Prime Minister Prachanda had resigned in May when President Dr. Ram Baran Yadav, who holds no executive power at all, reinstated the previous Army Chief Rookmangud Katawal whom the Prachanda-led government had sacked for his defiance against the elected government. 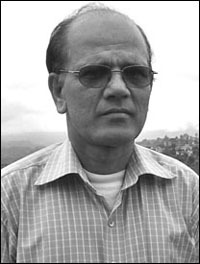 Gurung succeeded Katawal after he retired. Gurung is the first Army Chief belonging to the indigenous community background. He has already graduated in military studies from US Command and General Staff College, Leavenworth in USA. ﻿﻿ This article was published on the WPRM’s home site﻿. When we first met Comrade Basanta, together with Comrade Laxman Pant, on the edge of the Thamel area of Kathmandu, we were greatly impressed by their down to earth manner. Comrade Basanta, it would be fair to say, exudes an air of quiet dignity without being distant, taking great pains to accurately put across his points. WPRM: Can you explain the current situation in Nepal since the resignation of Prachanda from the government? Basanta: First of all I would like to say something about the situation in which we had to enter into this process. When Gyanendra usurped the whole political power, the contradiction of the Nepalese people with monarchy became the principal political contradiction. It created a situation in which all the political forces that had a certain level of contradiction with the king could come tactically together to fight absolute rule of the monarchy. It was in the Chunwang meeting held in 2005 that we adopted a new tactic of democratic republic, which became a basis for 12-point understanding between our party and other 7 parliamentarian parties. Everyone in the world knows the result, the unprecedented mass uprising in April 2006. After that the king, relinquished his absolute power and reinstated the parliament. In the Constituent Assembly election, we emerged as the largest party and the king was removed and the country was declared Federal Democratic Republic from the first meeting of the Constituent Assembly. In fact, it was basically the end of the tactics adopted from the Chunwang meeting. This article was originally published on the WPRM’s home website. Indo-US military collaboration has taken a big step this month, with the launch today of Exercise ‘Cope India-09’, a five-day joint exercise between the Indian Air Force (IAF) and the United States Air Force (USAF) at the Air Force Station, Agra, even as an even bigger exercise between the two countries’ armies, ‘Yudh Abyas 2009’ rolls on at Babina, Madhya Pradesh, in a 17-day programme which concludes on October 29. Bhubaneswar: The Red terror has spread its wings to 22 out of 30 districts in Orissa throwing a serious challenge to the state authority even as chief minister Naveen Patnaik has come back to power in Assembly poll marketing his king-size image of honesty and good governance. The enemy advances, we retreat; the enemy camps, we harass; the enemy tires, we attack; the enemy retreats, we pursue.--Mao Zedong. Indian counter-insurgency specialists and their U.S. advisers have undoubtedly studied Mao’s military writings, but they are still trying to figure out how to counter them. 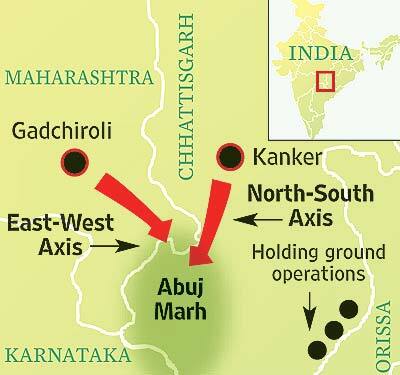 New Delhi, Oct. 18: Armed Naxalites could resort to an absence offensive in response to the first security thrust into their strongholds. Intelligence inputs reaching here from parts of Chhattisgarh, Orissa and Jharkhand suggest that large numbers of cadres may leave their jungle bases and “melt away into urban anonymity” over the next few weeks as part of a thought-out tactic. This is a 5-part series where writer/activist Arundhati Roy speaks on “Indian Democracy In A State Of Emergency” The 5 parts total 20 minutes, and the 4th part contains her comments on the Maoists and the armed struggle. This article was originally published on OutlookIndia. 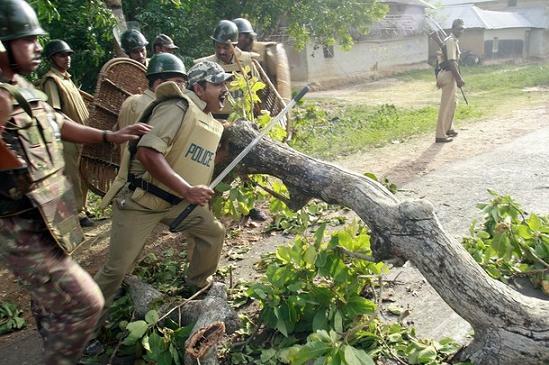 India: Demand a stop to the Indian governments assault on the CPI-Maoist and adivasis people! This article was sent out on the A World to Win e-list. 19 October 2009. A World to Win News Service. 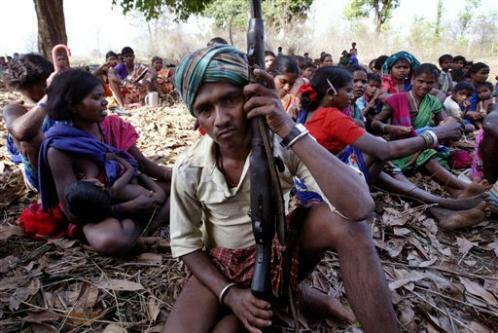 The Indian government has announced that it is preparing a large-scale military offensive against areas in eastern and central India where adivasi (tribal) people and others have risen up under the leadership of the Communist Party of India (Maoist). (See AWTWNS 091912) Sanhati (www.sanhati. com), which describes itself as “a collective of activists/academics who have been working in solidarity with peoples‘ movements in India by providing information and analysis,“ drafted and circulated the following statement signed by many prominent Indian and international intellectuals demanding that the government offensive not take place. Dated 12 October, it is followed by a “Background note“ that, like the statement itself, reflects the views of that collective. 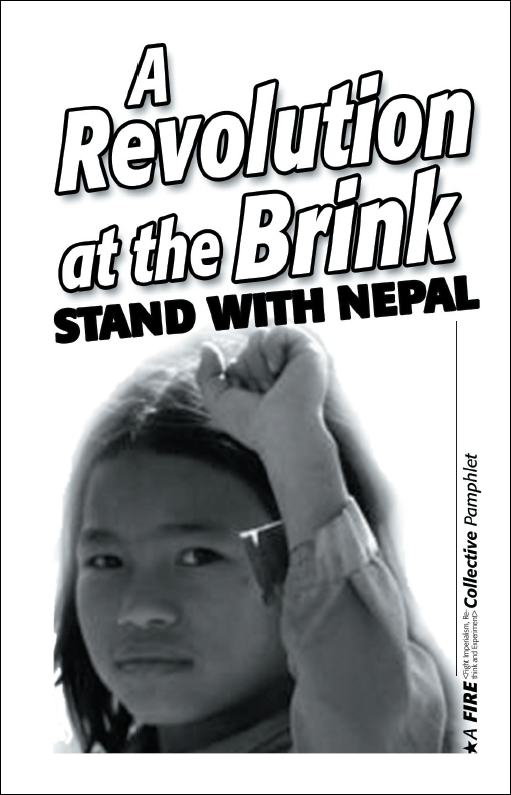 The FIRE Collective has produced a pamphlet on the revolution in Nepal — describing its emergence and importance. Today, seemingly a world away, the population of a small, oppressed nation is engaged in an ongoing revolution that is straining and maneuvering for a decisive victory. Rather than pursuing a rigid path in a sterile and dogmatic way, these revolutionaries have employed a diversity of tactics — from a people’s war to political negotiation to mass protests — aimed at freeing the country’s people. Their thinking is fresh, and they’ve wedded creative innovation with a movement committed to socialism and worldwide liberation from capitalism and imperialism. They deserve our active political work. We need to help break through the mainstream media whiteout — so more people here in the U.S. can see the ways this revolution is radically changing society, and so we can stop the U.S. government from intervening in Nepal while falsely branding revolutionaries there as terrorists. Condemn strongly the malicious media trial of Chhatradhar Mahato! The West Bengal Government cannot violate laws and procedures to deny Chhatradhar Mahato his right to all legally guarenteed safeguards until proven guilty! The Committee for the Release of Political Prisoners notes with great concern that the government of West Bengal has started unleashing a vivcious character assassination campaign against Chhatradhar Mahato, the leader of the People’s Committee Against Police Atrocities, that have been spearheading the Lalgarh movement. It is this vicious media trial indulged in by sections of the media and the administration, particularly by Bhupindar Singh, DG Police, Ardhendu Sen, Home Secretary and Ashok Mohan Chakraborty, Chief Secretary, Government of West Bengal, ever since he was abducted and arrested by the Special Task Force of WB police on 26 September 2009 from Lalgarh. 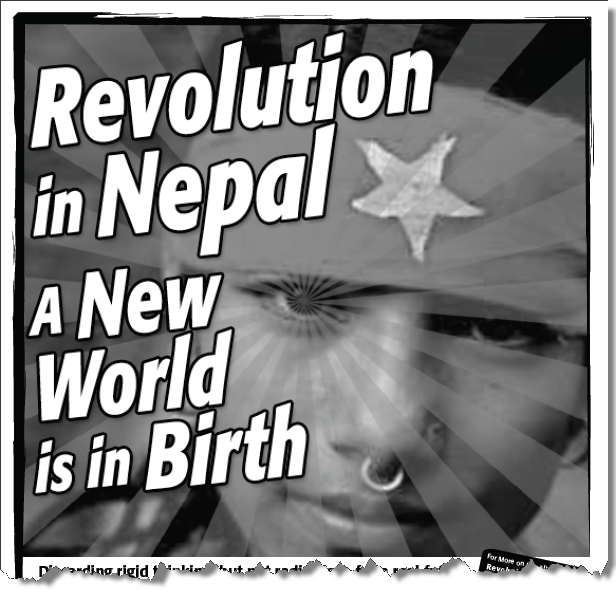 The FIRE Collective in Houston has produced a series of five posters supporting the revolution in Nepal. Here they are in pdf format. The posters are easy to print — 8×11 paper in black-and-white. 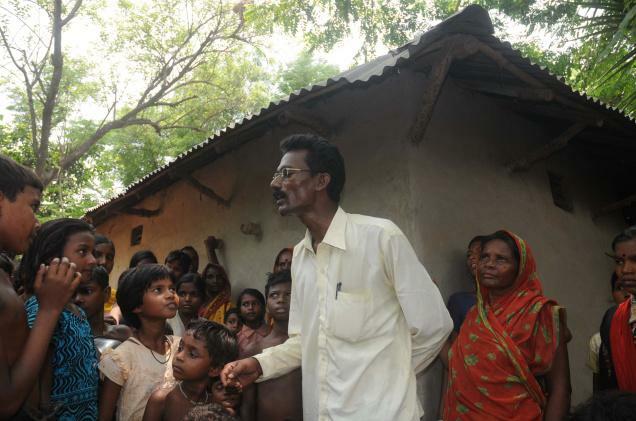 The supreme commander of CPI (Maoist) talks to Open in his first-ever interview. At first sight, Mupalla Laxman Rao, who is about to turn 60, looks like a school teacher. In fact, he was one in the early 1970s in Andhra Pradesh’s Karimnagar district. In 2009, however, the bespectacled, soft-spoken figure is India’s Most Wanted Man. He runs one of the world’s largest Left insurgencies—a man known in Home Ministry dossiers as Ganapathi; a man whose writ runs large through 15 states.